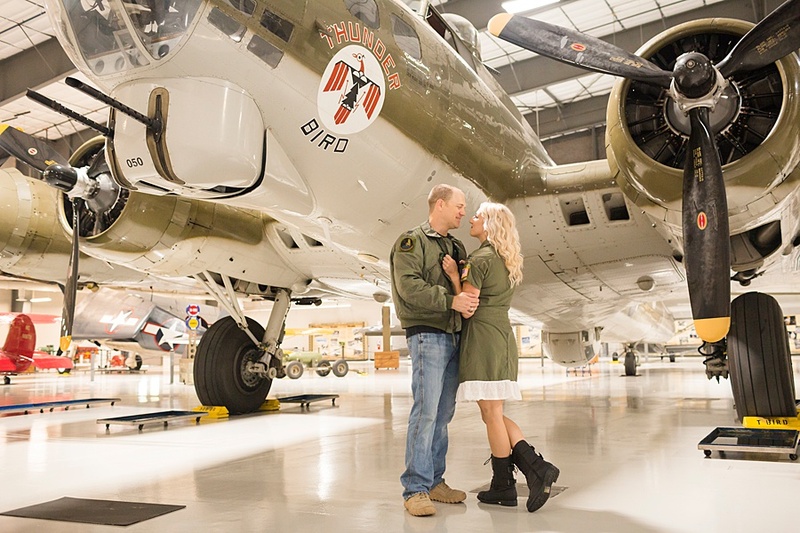 When the groom is a pilot, you simply have to have your engagement photos at the Lone Star Flight Museum in Houston, Texas. And that’s just what Abbey and Seth chose to do! They are such a fun-loving couple and we had the greatest time walking around and looking at the planes and taking photos with them! It was also really neat that the museum had guides go everywhere with us and they told us all sorts of interesting facts about the decommissioned planes that they had in the large hangar. Abbey and Seth will also be having their wedding at the museum this coming February, so it’s sure to be a jaw-dropping event!